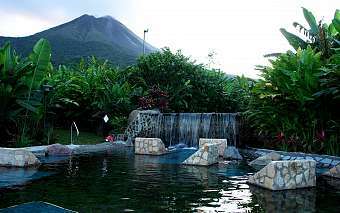 Today you will travel to Arenal area, home of the amazing Arenal volcano. We will continue on our trip until we get to this wonder from nature in the north of our country. We will make a stop in the famous town of Sarchi, with international fame; it has earned the name of the Birthplace of Costa Ria’s artisans. As we continue our trip we will go through diverse plantations with agricultural products, ornamental plants and cattle ranches until we arrive to La Fortuna for lunch in a local restaurant . 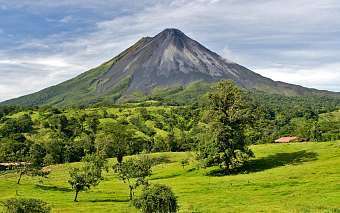 Enjoy the most extraordinary view of the Arenal Volcano on a hike along the base of this marvelous volcano. The hike begins in one the trails close to the volcano. We are going to be on this trail for about 1 ½ hours. 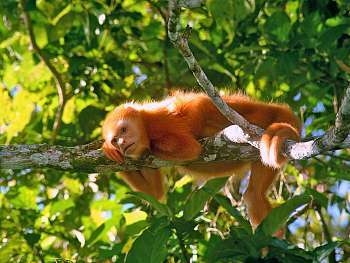 After breakfast, we will continue our journey to the Monteverde area, known for its Reserve and perfect for nature lovers. 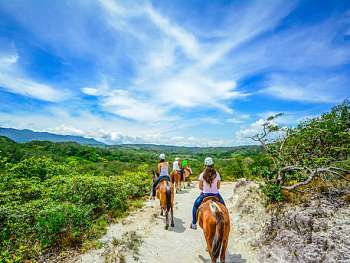 On a beautiful ride of approximately 3 hours you will enjoy breathtaking views of the northern plains of Costa Rica. Our guide will be teaching you the importance of each habitat and the history of each town passing by. 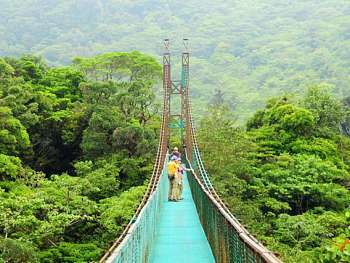 Our expert guide will take you to visit The Monteverde Cloud Forest Reserve, the largest of these private protected areas with over 25.730 acres (10.415 hectares) of land. More than 500 species of orchids cling to the limbs of enormous trees, while vines, ferns, mosses and lichens fill every other available space. The Cloud Forest of Monteverde houses more than 130 species of mammals, 400 species of birds, including the beautiful quetzal, 30 species of hummingbirds, 5000 species of months and 3000 species of plants. It is a nature’s lover’s paradise. 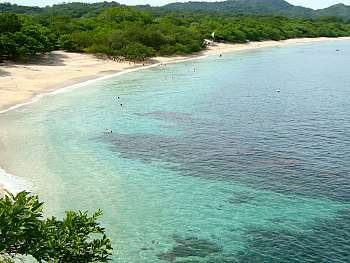 *Recommendations: Light clothes, t-shirt, shorts, long pants for the horseback riding, comfortable shoes, tennis shoes, bathing suit, extra clothes, sunscreen, repellent, camera and binoculars.